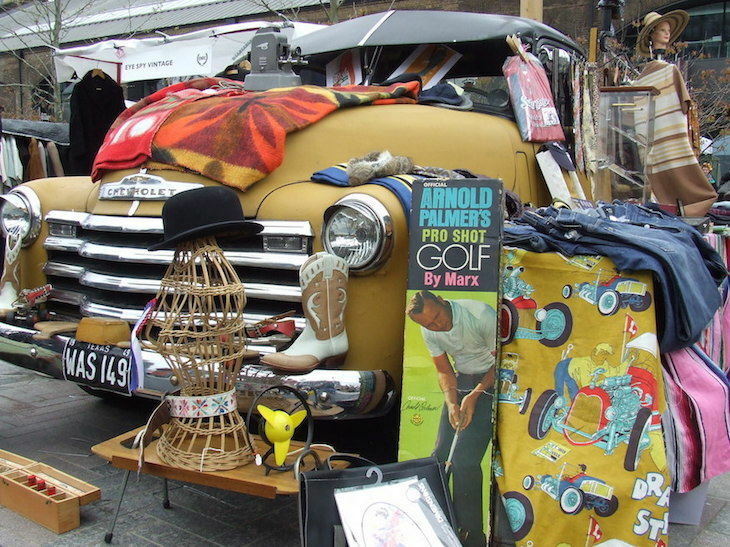 Dozens of classic cars pull into King's Cross this month for the Classic Car Boot Sale. 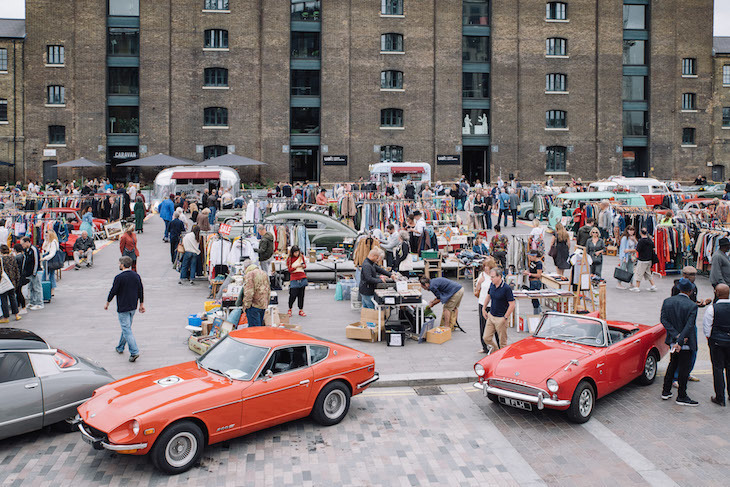 Retro fashion, accessories, homewares, art, vinyl and other items will be sold from 120 vintage vehicles — including 10 campervans — in Granary Square, as with a regular car boot sale. 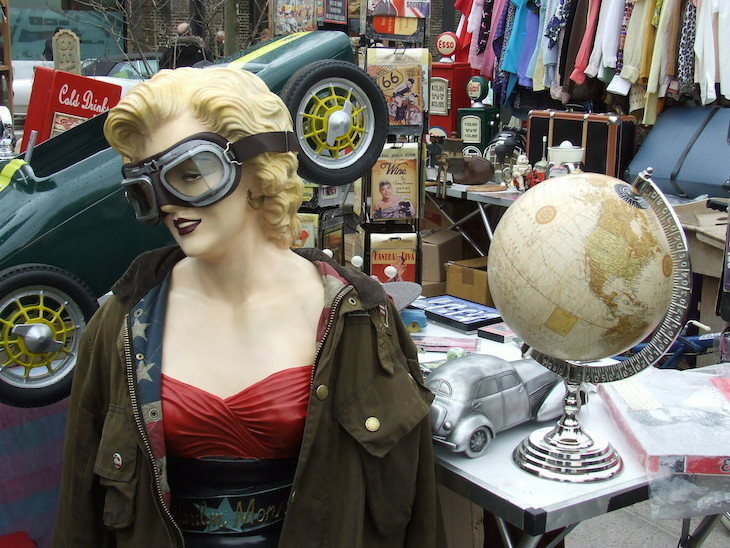 The focus is on upcycled goods, with nothing new for sale — although at past events, we've found ourselves so distracted by the vehicles, we've completely overlooked their contents. 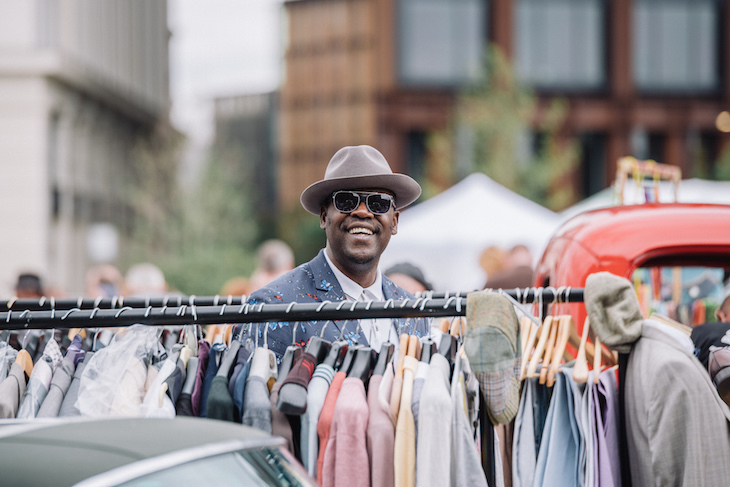 But the Granary Square event doubles up as a vintage festival too, with food and drink stalls (hello, Routemaster Bus Bar) and entertainment going on throughout the weekend. The 40th anniversary of mod film Quadrophenia is marked with guest DJ sets by Eddie Pillar, and a mods and rockers scooter ride. See 50 mods arrive at the event on their own gleaming scooters. Coinciding with the Classic Car Boot Sale, the Museum of Youth Culture launches a new photography exhibition at Coal Drops Yards, documenting the birth of the teenager in Britain. This looks at youth culture history from 1959 to the present day, through Teds to punk, pave and hip-hop to grime. Photography from the newly discovered archive of The 59 Club is also on show. A 'wellbeing area' pops up in a pair of 1960s American Airstreams, with haircuts, free head massages and other treatments on offer. 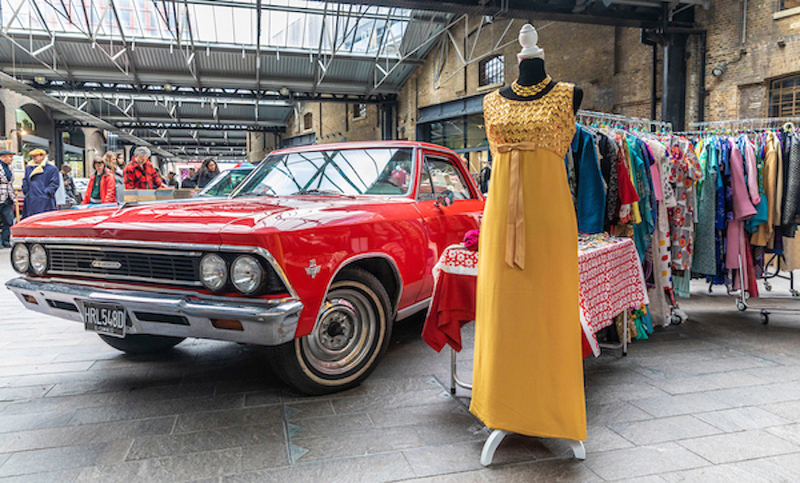 For the artily-inclined, London Fine Art Studios run free drop-in drawing workshops featuring a sixties-styled model leaning against a classic roadster. 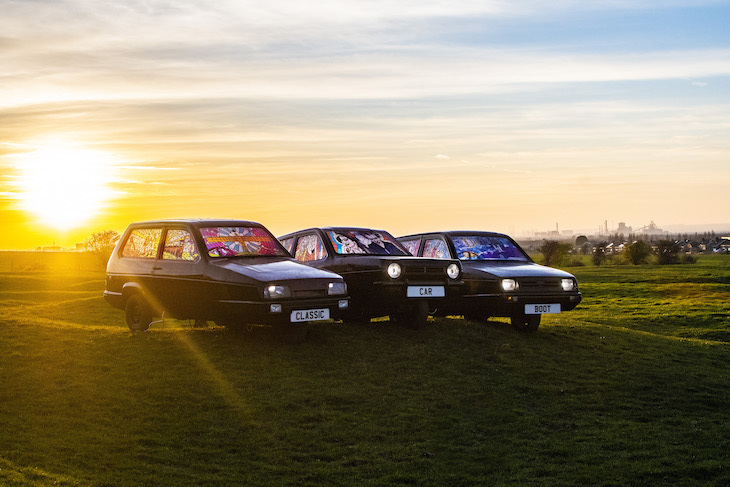 If all those retro deals have got you embracing your inner Del Boy, Coal Drops Yard transforms into a vehicle showroom, hosting a special exhibition of Reliant Robins, the Peckham wheeler-dealer's three-wheeled car of choice. 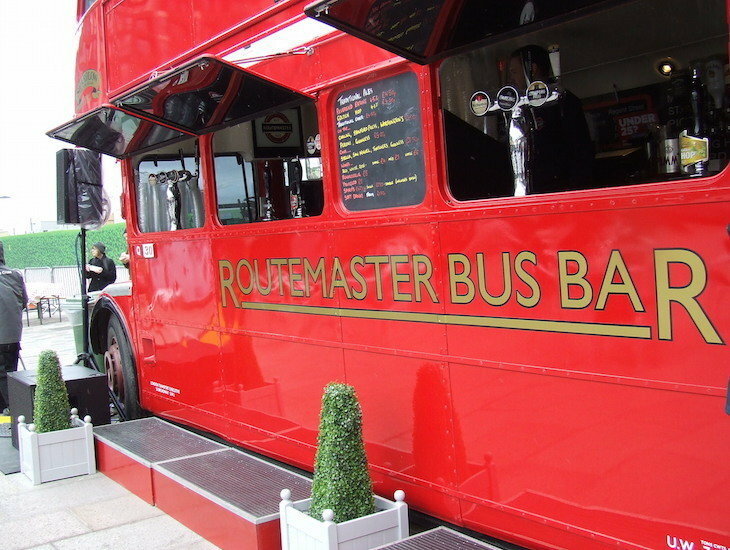 In a nod to the venue's industrial heritage, the vehicles are adorned with stained glass windows by artist Stuart Langley, including one chronicling the industrial heritage of the north-east of England, and others depicting rock n roll stars. Other vehicles bound to thrill petrolheads include a very rare 1965 Buick Riviera, Ford Cortinas, Sunbeams, and classic American cars. The Harrington Legionnaire bus from The Italian Job is on display, marking 50 years since the film's release. 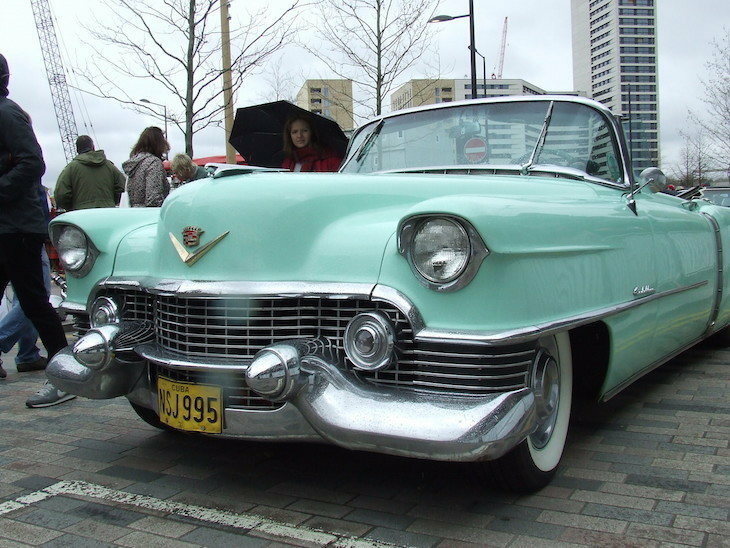 The event looks to the future too, with the London Electric Car Company showcasing classic cars that have been converted to cleaner electric engines. 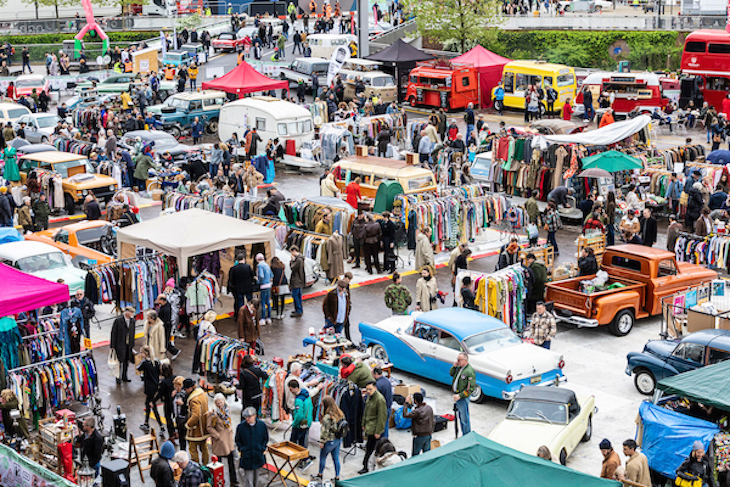 The Classic Car Boot Sale takes place 27-28 April 2019 across Granary Square, Lewis Cubitt Square and Coal Drops Yard. Entry is £4 in advance or £5 on the door (under 12s free).